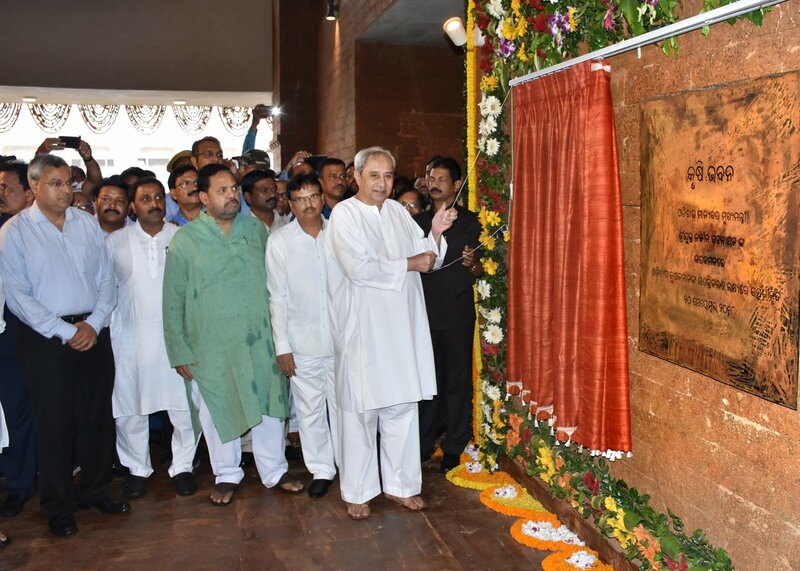 Bhubaneswar: Chief Minister Naveen Patnaik on Thursday inaugurated the newly-constructed state-of-the-art Krushi Bhawan. The three-storey building built over an area of 1,30,000 square feet located at Gopabandhu Marg here houses a learning centre, public library, auditorium, garden, public plaza and display corridors open theatre and exhibition hall at its ground floor while the offices operate on the upper floors. “The Krushi Bhawan promotes sensitisation to local materials and looks at new ways of integrating craft in a contemporary environment. It has been designed to be a statement on the unique qualities of Odisha. 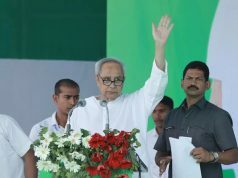 It is just a medium to fulfill plan of the Odisha Government to give emphasis on all-round development of Agriculture and Allied sectors through the introduction and implementation of several farmer-centric schemes,” Patnaik further said. 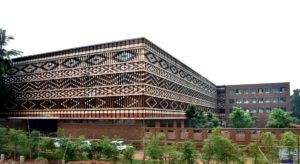 The building is inspired by the ikat patterns of handlooms while the gardens are designed to showcase the issues of land solutions to agricultural heritage. The roof top too has been opened up to the public as a demonstration of urban farming. The garden highlights the use of irrigation channels, rainwater harvesting, soil remediation and organic agricultural practices to improve crop yields. The design features educational art-components and an intensive roof garden. Designed as a passive-cooled structure with a night purging ventilation system and a high thermal mass, the building exceeds most green building rating parameters. 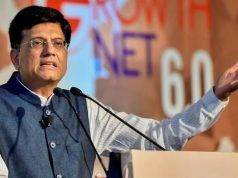 The building was inaugurated in presence of 400 farmer representatives, Ministers, MLAs, MPs and Chief Secretary Aditya Prasad Padhi.